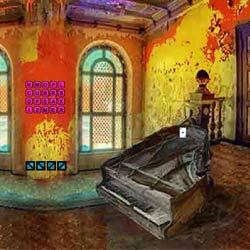 Creaky Escape is the new point and click escape game, free escape game from ajazgames. Assume that you are Passing by an ancient house, you and your friend enter in to the house, by mistake your friend closes the exit door,, you look for key to escape, but to get the key you need to solve puzzles and find clues. All the best , wish you good luck, have fun playing new online free escape games from ajaz games.